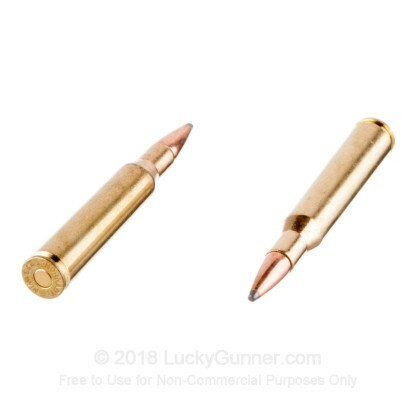 When you need a highly acclaimed sporting rifle round, the 270 Winchester is the cartridge you are looking for. Made popular through Jack O'Connor's writings, the 270 Winchester has swept the nation with its accuracy, range, and power. 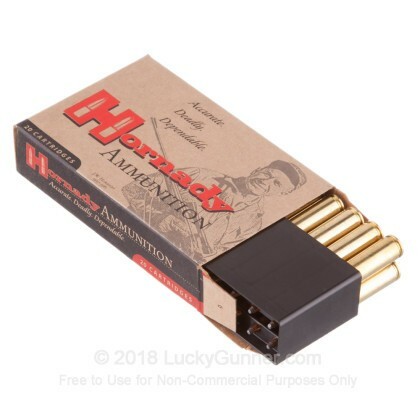 Developed in 1923, this highly sought after cartridge can take down deer, boar and elk, giving you exactly the long range, versatile, high powered hunting round you have been looking for. 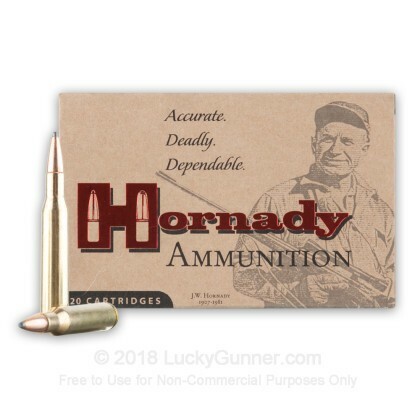 Ever since 1949, Hornady has been filling the need for high quality, purpose built ammunition. Headquartered in Grand Island, Nebraska, all of Hornady's products are manufactured in the USA. The InterLock bullet design offers controlled expansion and excellent weight retention due to the locked jacket and core. 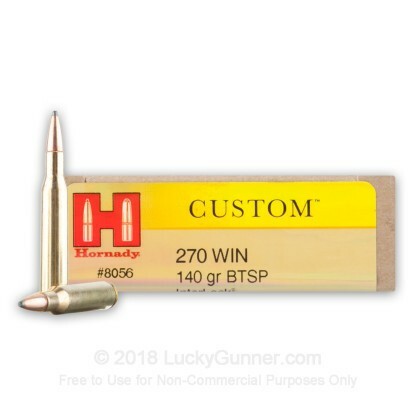 These Hornady rounds are a great choice for your next deer hunting trip. 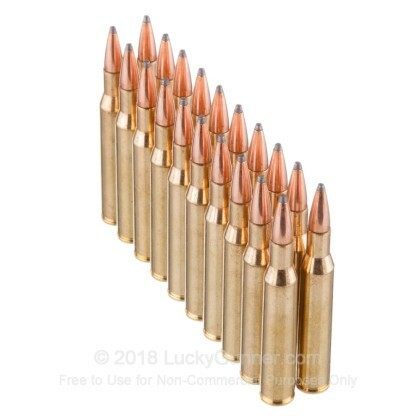 Each round in this box of 20 features a 140 grain soft point boat tail projectile that leaves the barrel around 2,940 feet per second. 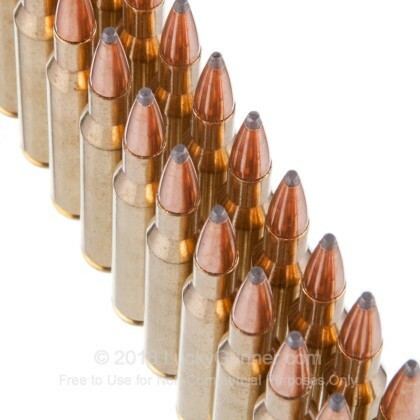 These bullets are loaded into factory fresh brass cases that come boxer primed and are reloadable. Pick up a box or two today and get out in the field soon!